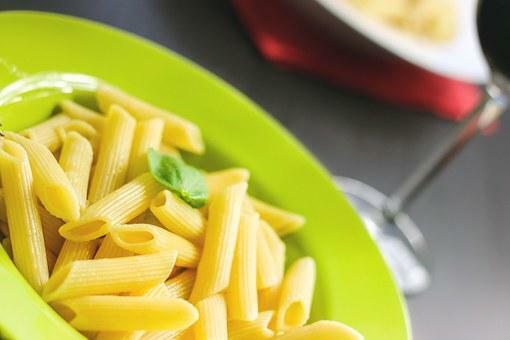 A “World Pasta Day” actually exists! A day once the entire world has reason to rejoice. You can probably tell that I like pasta. In actuality, I’ve never met a pasta I didn’t enjoy. When it’s served with tomato sauce that is simmered for hours, or a sauce that is thrown together in a matter of minutes, it matters not to me. Even if it’s topped with pesto or merely garlic butter, the meal is unique and deserving of respect. Yes, pasta is a dish to be enjoyed under any and all circumstances. Can you recall the best pasta meal you’ve ever had? I recall a meal in Toronto on Yonge Street in the 1970’s. My client and I were walking down the street looking for somewhere to eat when we smelled the delicious odors wafting from an open door. We had no option but to follow the invitation of scents and partake of the best they had to offer. Their chef used a generous amount of garlic and with the salad, bread, butter and olive oil we consumed our fill, and created memories that resist fading. During my formative years I enjoyed the occasional can of spaghetti at room temperature. Yes, right from the can, and now so many years after I do it less often, but I still consider it a fantastic dish when I am on the run. In today there are all types of spaghetti using different flour from various grains. For those who are allergic to wheat there’s always the rice substitute. Of course, all pasta isn’t spaghetti. There’s a seemingly infinite variety of thicknesses and sizes. There is macaroni, lasagna, and other popular configurations used in various dishes. During warm weather we enjoy pasta salad, and it’s easy to make. Yes, most pasta dishes can be made fast and salad must be near the top of the list with a few chopped vegetables and a store-bought dressing. The dish can be cooked and assembled in under 20 minutes. A friend of mine was invited to someone’s home for dinner where spaghetti was served with canned vegetable soup dumped on top. It was an unusual meal, but one that worked for that family. The pasta historians inform us that it was invented by the Sicilians from the 12th century. I wonder if they ever considered how popular their innovation would become. It was considered a very simple dish by them, but now with the creation of various sauces its complexity can be high for people with discriminating tastes. I acknowledge an inability to discern between a great sauce which requires hours of careful preparation and a mediocre one that is thrown together. I have eaten in some of the world’s best restaurants, but am unable to adequately distinguish the value of their efforts. It’s not that I don’t enjoy a fantastic sauce, it is just that they all taste good to me, and many of my friends. So, on this special day, the 25th of October, you can put aside any prerequisites for dieting purposes and revel in a good helping of pasta-one that will fill your tummy and release endorphins to make the experience memorable.